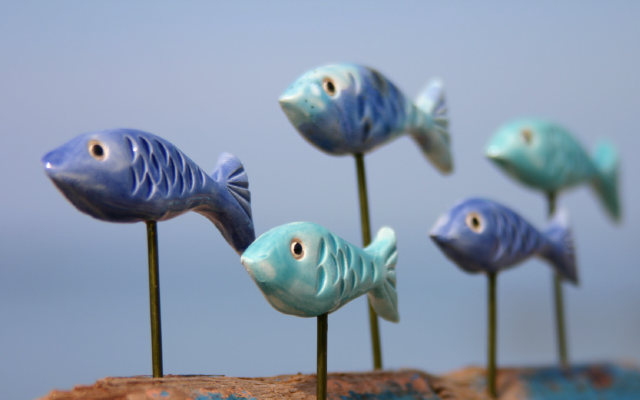 A lovely little row of beautlful medium sized blue and green beach huts, each one painted with a different glaze and some even have little fishy windows. 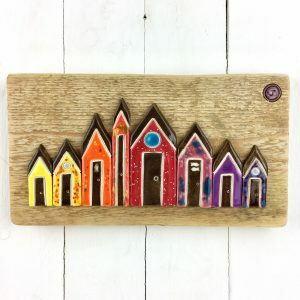 This happy row of meduim sized beach huts is going to brighten up your life, its refreshing colours give you the feeling that the sun is high in the sky. 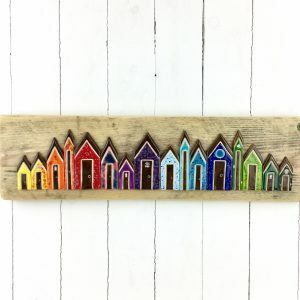 Oh I do like to be beside the seaside… This lovely row of 16 large beautiful and bright rainbow coloured beach huts, each one painted with a different glaze and some even have little fishy windows. 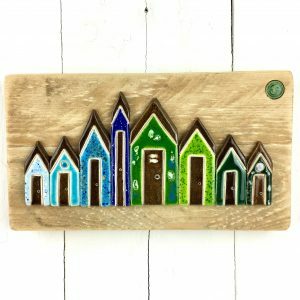 The huts are mounted on re-cycled wood inset with a green ceramic J button of authenticity.